When joint pain and stiffness hold you back from doing the things you love, Flexiseq’s unique drug-free action works only where it’s needed to lubricate joints affected by osteoarthritis and joint wear and tear. Using Seq Technology, Flexiseq delivers key ingredients to where they need to go. Every tube of Flexiseq is packed with microscopic droplets called Sequessome® vesicles. These vesicles have the optimal characteristics for the lubrication of joint cartilage – size, compressibility and hydration. 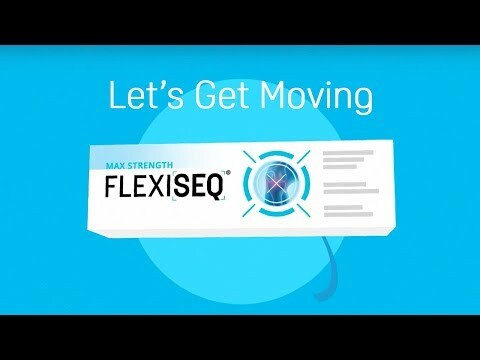 "Flexiseq has given me my life back. I have suffered from excruciatingly painful and debilitating osteoarthritis in my knees for many years. I’m using it five weeks and virtually all the swelling has gone from my knees, the stiffness has gone, and all the pain has gone. I am now able to walk properly and go up and down stairs and slopes without the need to hang onto anything — for the first time in years"